San Diego R&B sensation—Marlon Dane—has been garnering a lot of buzz lately. 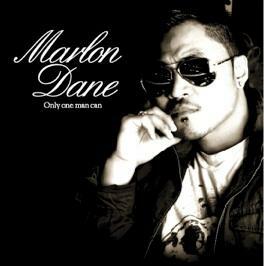 His full-length debut album Only One Man Can is filled with energetic beats and catchy harmonies that are sung with a sensuality that could only be rivaled by the best in the industry. Like a true artist, the San Diego-native wishes to offer up his craft to music fans. In a sense, it is among one of Marlon Dane’s greatest aspirations as singer/ songwriter/producer to share his own salvation and refuge to those who need it the most. The cool vibe apparent in such tracks like “For Real,” “Maybe,” and “Take It Off” are vitally refreshing and offer subtle nuances of the mid- till late 90’s, also known to folks growing up during that period as the hey-days of R&B. His suave and smooth style strongly resembles the old school R&B classics that had dominated airwaves back then, as well as listing some of his major influences as Usher, Backstreet Boys, Frankie J, and Justin Timberlake. The songs off this 14-track disc are filled with powerful ballads sung with great emotive power, but it doesn’t do this talented singer musical justice to merely label him as an artist who sings only one type of song. Although the ballads off this album definitely provide some of the strongest tracks on the CD, his more fun upbeat songs are highly persuasive as well. Songs like “I Just Wanna Know” and “For Real” are very polished, providing the auditory pleasure Marlon was aiming for in the making of this album. Singing and performing at many local events including at the Manny Pacquiao-event when Pacquiao, the 7-time world boxing champion, visited San Diego, Marlon Dane’s approachable and real style definitely gives him a personable arc; very different from the unattainable personas that some artists seem to project. With a strong cadence that could only be paralleled to Usher’s early in his career, each track off Only One Man Can displays the R&B singer’s artistry and superb talent. The forecast is here—Marlon Dane’s future looks UNSTOPPABLE.